As always, Microsoft comes to the party and they kicked off their Gamescom 2015 press conference with substance, style and the games to prove that they mean business. Microsoft were even more prominent this year due to Sony bowing out of this year’s Gamescom. So Microsoft took it upon themselves to make it one truly unforgettable event. Perhaps more so than what we saw at E3 in some way. Firstly, there were some awesome game trailers for games including Quantum Break, Crackdown 3, Scalebound and Homefront: The Revolution, to name a few. So let us take a look at their awesomeness. For those of you who don’t know, or maybe should, Quantum Break is a third-person shooter where you make use of time manipulation powers. The game is currently in development by Remedy Entertainment, well-known for game series like Max Payne and Alan Wake. At the press conference, we got to see some Quantum Break gameplay, but not before a superb CG trailer played. After missing E3 this year, Crackdown 3 stole the show. The trailer showed off the game’s destructible environments and killer gameplay mechanics and action. Crackdown 3, in development, by Reagant Games brings back all the open-world sandbox action and violence we so missed with a 4-play co-operative campaign. Of course, there will cutting-edge weapons, awesome vehicles to drive, a range of different enemies and plenty of orbs to collect. Along with a new competitive multiplayer mode, things are shaping up quite nicely for Crackdown 3. We think that Crackdown 3 will be one of the games to look out for in 2016. 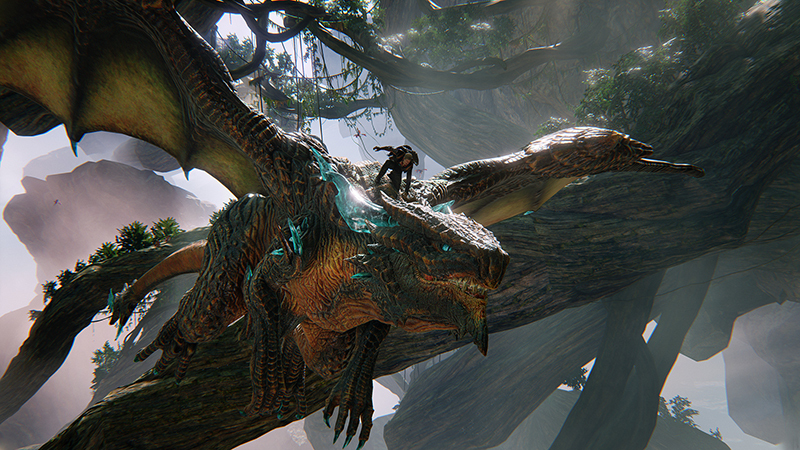 Missing since E3 2013, Scalebound looks absolutely fantastic. The game merges Devil May Cry with Xenoblade, and a light touch of RPG elements. If you love the Monster Hunter and those types of games this will be right up your alley. In the game, you will be able to choose your own dragon companion, defeat legions of enemies and fight epically large beasts. But truthfully, Platinum Games really have a pretty Xbox One exclusive title releasing in 2016 with Scalebound. Do you enjoy constantly dying from heavily difficult enemies? Then you will love the latest Dark Souls 3 gameplay trailer that premiered at Microsoft’s press conference. This will be the fourth entry in the Souls franchise from FromSoftware. This time around combat seems much more fast paced, while still maintaining what made the previous game so addictive for fans. A game that has been in the dark for some time now, finally got its debut and Homefront: The Revolution didn’t disappoint. Currently in development by Deep Silver Dambuster Studios Homefront: The Revolution is an open-world first-person shooter and the sequel to the original Homefront. We got to see a great CG trailer and some gameplay, which showed a rebel squad in Philadelphia attempting to steal some data for the resistance movement, in the game. The game arrives next year and features multiplayer co-op as well. EA came on to stage and showed off all the sporty sportiness of the new FIFA 16, which only sport fans would be concerned with. Interestingly, this will be the first FIFA game to include female players with 12 women’s national teams included. Otherwise, there are some great improvements to the overall mechanics and a visual upgrade for FIFA fans. The latest Halo 5 trailer showed off the game’s multiplayer, and there have been some awesome developments for the game’s multiplayer. The gameplay brings in new features along with a strong emphasis on eSports with Halo 5. In the video footage, we see the red and blue team go at it in Warzone Annihilation. 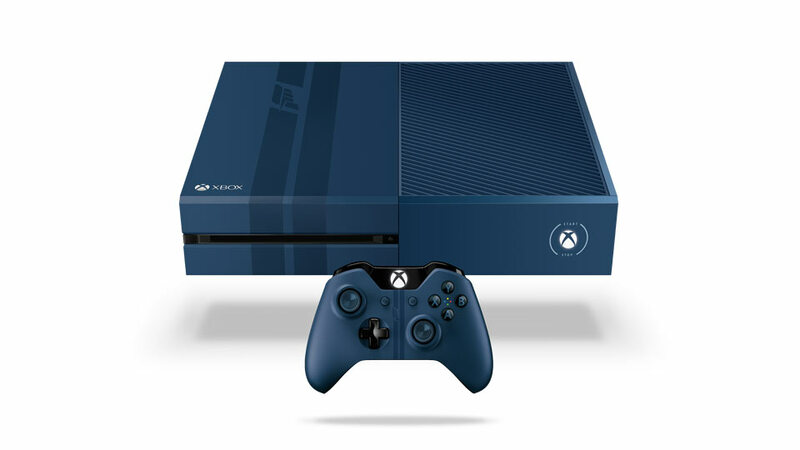 That wasn’t the only news, there was also a new Halo 5: Guardians console bundle announced that will come with a Halo-themed console, including 1TB of storage. Just Cause 3’s latest trailer does much the same thing as those before it, destroy everything in as stylish a manner possible, and we shouldn’t have it any other way. More than that, as an added bonus, Microsoft and Avalanche Studios announced that purchasing Just Cause 3 for Xbox One will mean a free copy of Just Cause 2 via backwards compatibility. Forza 6’s press conference showing was a lot more about the game and its refined mechanics than the inclusion of the Ford GT 2015. Pretty as the car is, Forza has some stiff competition, particularly with Project CARS, and Turn 10 Studios don’t seem want anything but the undivided attention of racing fans. With the most advanced physics-based rain system ever implemented in a racing game, more than 450 cars, 26 world-famous tracks, gorgeous 1080p graphics at 60 fps and much more, Forza 6 is certainly shaping up to take back the racing crown. Racing fans should look forward to online racing leagues, tiered according to your driver skill, and about as advanced a racing simulator as Turn 10 Studios has ever produced. Don’t own an Xbox One? 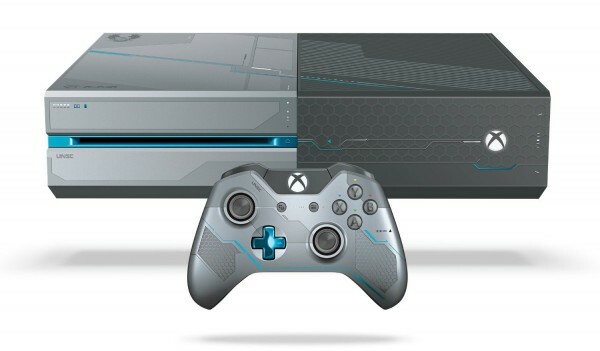 Much like with Halo 5, a special 1TB Forza 6 Xbox One will release in September. As its launch looms over the horizon, it was about time we got another look at the upcoming tactical shooter. The trailer was really more a teaser than anything, showing little more than we don’t already know or have seen before. It’s still nice to get reminded that it’s on its way. We’re looking to a little offence/defence. Microsoft knows that Crystal Dynamics has a winner with Rise of the Tomb Raider, and they’re only too happy to show it off to the adoring public. It’s not strictly an Xbox One exclusive, but with the delay between its release to the other platforms and the Xbox One, it may as well be. Rise of the Tomb Raider seems much more action-orientated than Tomb Raider, demonstrating a maturer, hardened Lara. The world is larger, more explorable and designed to test Lara in any number of ways. What’s more is that Crystal Dynamics has created a graphical marvel, so much so that we were blown away by every second of is demonstration. It’s sure to tell a great story, craft Lara into an even more lovable character and take us on a journey we’re not going to forget anytime soon. The final announcement made at Microsoft’s Gamescome 2015 press conference was of a new Halo game, and we’re not talking about Halo 5: Guardians. Strategy Halo franchise Halo Wars is getting another entry with Halo Wars 2, a game scheduled to arrive on the Xbox One and Windows 10 at the end of 2016. Little else is known about Halo Wars 2 for moment. But let us not forget the other cool announcements Microsoft pulled out of their bag of magic tricks. Some of these surprises can be found below. 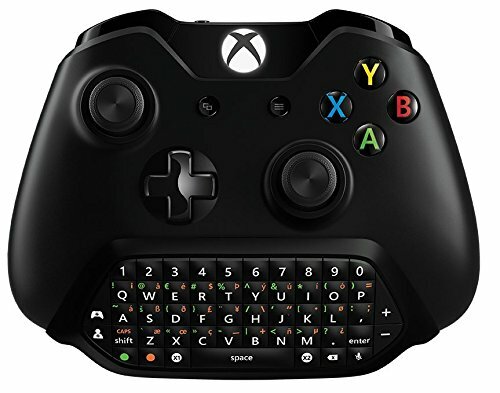 Similar to the Xbox 360 version, the Xbox One Controller Chatpad offers a full QWERTY keyboard, making your chatting that much easier. Microsoft said that they plan to release the Chatpad in November of this year, but it’s hard to see the point with keyboard and mouse support for the Xbox One incoming. Microsoft has assured us that they are dedicated in bringing every single Xbox 360 title to the Xbox One with Backwards Compatibility. They even told us that the Xbox One will support the Xbox 360 Games with Gold starting in November, meaning that the Xbox One will be able to play all 4 free titles that we receive monthly. 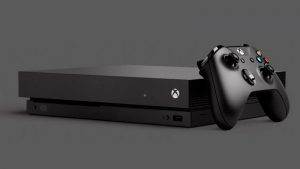 Microsoft revealed the official date for the full roll-out of the Backwards Compatibility, and that date is November with over 100 games supported at launch. Finally, [email protected] was in full swing with a great selection of independently developed games, once again showing that Microsoft not only caters to Triple-As, but for those who prefer more niche experiences.